This study reveals consistent trends in the giving and volunteering behaviors of high net worth individuals and households from previous years, as well as departures from past trends. 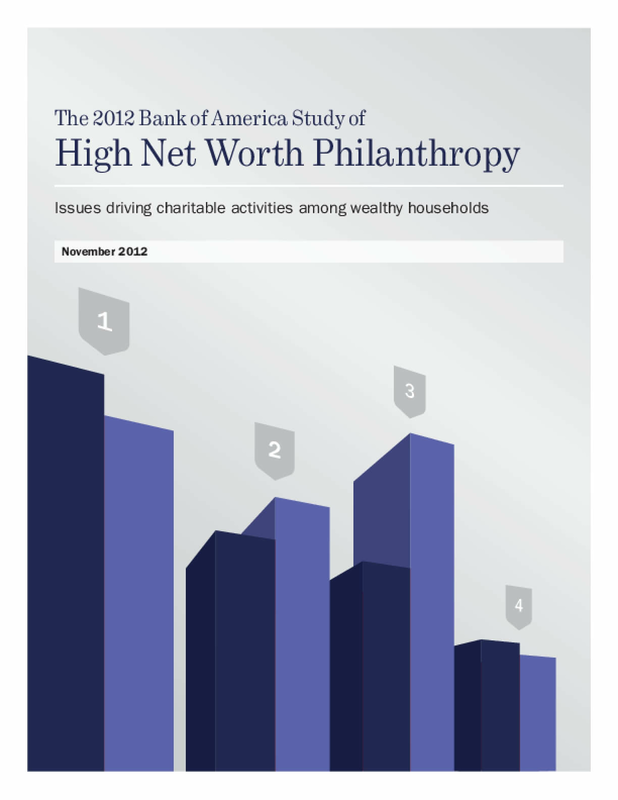 The vast majority (95.4 percent) of high net worth households continued to give to charity in 2011. Although the findings show a 3 percentage point decline in the rate of giving by thesehouseholds from 2009, a growing proportion of high net worth individuals volunteered their time in 2011 (88.5 percent compared with 78.7 percent in 2009). More than one-third of these volunteers gave 200 hours or more of their time in 2011. Copyright 2012 by Bank of America. All rights reserved.